Guest commentary by Ellis Boal of Northern Michigan People for Peace, Petoskey News-Review, November 8, 2005. 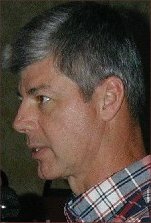 The website of Congressman Bart Stupak, who represents northern Michigan, is http://www.house.gov/stupak . The front page links to his "position on Iraq." There, Rep. Stupak asserts (1) the US cannot walk away from the Iraq war because that would insult the soldiers and families who have served and sacrificed for their country, (2) only when order and security are restored can the troops come home hoping there will not be a civil war, and (3) to restore order and security the full partnership of the international community is required. As to (3) Rep. Stupak is "pleased that President Bush has taken the first steps to involve the United Nations and NATO in the stabilization and rebuilding of Iraq." Rep. Stupak's position is not serious. True, in 2003 the UN went into the country, but it was bombed out in August. In February 2004 it came back to help construct a new interim government. But Washington has kept it politically weak. Its role in planning the national elections on December 15 -- the last step in establishing a new government -- is minimal. As to NATO, last year its secretary-general said it would take a commanding role in peacekeeping functions in the south-central areas. Today it plans only a training mission in the green zone and a military academy outside in a Baghdad suburb. A private security company will protect the academy. NATO's own forces will not fight. This is nothing to be pleased about. There is no prospect of an international partnership. The partners in Iraq are disintegrating not coalescing. Under the reasoning of Rep. Stupak's website, order and security will never be restored and US troops will never come home. Several months before the war, Rep. Stupak voted in Congress against it. Northern Michigan People for Peace is the local Petoskey peace group. NMP4P opposed the war when Stupak voted against it, opposed it on the day it started, and has opposed it ever since. We have mounted several big rallies, including one at Central Elementary School with 300 people, and we sent a busload of 50 to Washington in March 2003, to try to prevent it or end it. War and peace are the most important issues Rep. Stupak has before him. In October, NMP4P met with his aides in the Petoskey Office, had email correspondence with the Iraq expert on his staff in Washington, and held a candlelight vigil outside his office on the day of the 2000th US death. Our purpose was to convince him to convene a town meeting, devoted to Iraq and US foreign policy, where all sides can be heard. A public discussion is needed so Rep. Stupak can update his thinking. If he decides to continue war support, let him do so on intelligible grounds. We have offered to co-sponsor the forum with him, or to let him handle the arrangements alone. We have offered to let him lead it, or to be one on a panel of experts. In the discussion all sides would be heard respectfully, including those who support continuing the war. In 2003 before fighting began, anti-war and pro-war groups demonstrated simultaneously at Mitchell and US31 in Petoskey, cordially exchanging discussion while holding up their opposing signs. A public discussion today would continue in the same spirit. Whatever your views on the war, contact Rep. Stupak today to say we need him in a public discussion on the Iraq war and US foreign policy. Hoping to get out of a civil war is fine. But we need more. We need to talk about it, and then face realities and apply ideals. "I disagreed with the Bush Administration's decision to pursue this unnecessary war in Iraq. But we are there now, and we cannot simply walk away. To do so would be an insult to the brave men and women who have served there and their families, especially those who have been injured and killed serving their country. "While I am pleased that President Bush has taken the first steps to involve the United Nations and NATO in the stabilization and rebuilding of Iraq, he needs to do more. The task ahead requires that the United States work with the international community as full partners to stabilize Iraq. Only when order and security are restored will the Iraqi people be able to decide the future of their country. Only then will we be able to bring our troops home with the hope that Iraq will not descend into civil war. "Unfortunately, we have a long way to go. Please be assured that I will continue to monitor the situation in Iraq closely, and do all I can to ensure that our troops have all they need to accomplish their mission and come home safely." Guest commentary by Congressman Bart Stupak, 1st Congressional District of Michigan, Petoskey News-Review, November 15, 2005. 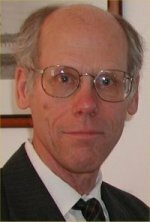 Recently, a guest column appeared in the Petoskey News-Review from Mr. Ellis Boal of Northern Michigan People for Peace calling on me to hold a forum on the war in Iraq. He also took the opportunity to criticize my position on the issue. While I appreciate Mr. Boal's desire to discuss the war in Iraq and advocate his concerns, I would like to clarify that Mr. Boal has had this opportunity in recent months and neglected to take advantage of the occasion. On July 8th of this year, I held a town hall meeting in his hometown of Charlevoix. This meeting was announced in the Petoskey News-Review on July 6th and 7th and noted in follow-up articles in both the Petoskey News-Review and the Charlevoix Courier on July 11th and July 13th respectively. Neither Mr. Boal or any of the members of his group (listed in the information given to my Petoskey office) attended that meeting according to the sign-in sheets. I appreciate Mr. Boal and other members of the Northern Michigan People for Peace taking the time to meet with my staff about his important issue. My staff and I are always open to listening to constituents' concerns. I hold town hall meetings throughout my district regularly in addition to traveling to meetings and events almost every weekend. In fact, I have addressed this very topic at nearly every town hall meeting I've held since the start of the war. Throughout that time, I have made my position on this war very clear. I voted against going to war. I believe that the administration has not been truthful with the American people about the intelligence they used to justify going to war. But, we went to war none-the-less and now our young service men and women are putting their lives on the line. Thus, I believe we must support our troops by voting to fund the equipment to keep them safe and the benefits promised. I also feel that it is time for the president to articulate a plan for troop withdrawal over the coming year. I encourage Mr. Boal and any other concerned constituent to advocate their positions on the war in Iraq. I take the opinions of local residents very seriously and consider their points with a great deal of thought. Additionally, I urge all local residents to attend any of the approximately 20 town hall meetings I hold annually.